We have specialized in the design, installation and repair of Residential, Commercial and Industrial doors in the Queens for many years. 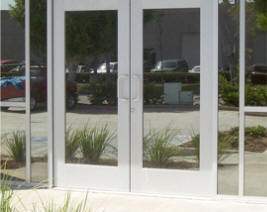 We service all types of doors including storefront doors, custom design hollow metal fire doors, warehouse doors, and wood doors. Regardless of your door style, Safehouse Doors will promptly be at your service. Home safety is our number one priority. 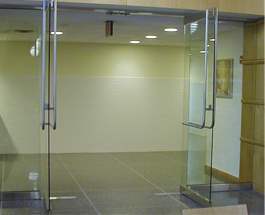 Therefore, we ensure that we can provide you with door repair service 24 hours 7 days in the Queens. Our technicians are experienced in repairing doors that do not lock / unlock, or doors that do not open / close. We repair dragging doors, noisy doors, doors that are falling apart, sticking doors, not securing doors, off track doors, out of frame doors, off the hinges doors, misaligned doors, warped doors, damaged doors, sagging doors, and slamming doors which are our specialty. 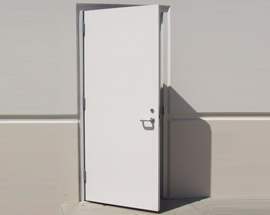 We service many different doors when it comes to repairs, including, commercial door repairs, roll up door repairs, glass door repairs, herculite door repairs, metal door repairs, hollow metal door repairs, wood doors, fire rated doors, interior / exterior doors storefront door repairs, and many more. In addition to doors and frames themselves, you can also rely on Safehouse for the installation and repair of all your architectural hardware. From hollow metal doors and panics or security hardware, to lite kits, door stops, closers, pivots, hinges, thresholds, and push and pull or lever locks, Safehouse Doors is proud to have established a strong working relationship with the notable Ingersoll-Rand Security Technologies and Hager Companies as our suppliers for all of our hardware components. As a client of Safehouse Doors, you are our greatest asset and we want to ensure your total satisfaction. We provide all manufacturers warranties and a full service guarantee on installations and repairs. You can also trust that all our work has been custom built to precisely meet size and design specifications, and that we will be available in the Queens to service any of our products when needed.